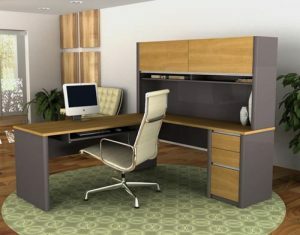 If you are in search of a computer desk for your home office or business in Roswell, Georgia, or another nearby area, then turn your attention to NorthPoint Office Furniture. We offer an extensive collection of new and gently used desks which can be viewed in our 8,000-square-foot showroom. Our experienced and helpful staff will work closely with you to help you find a computer desk that completely suits your needs. Furthermore, you will be able to select a computer desk in your choice of style and shape, including L-shaped, U-shaped, corner, bullet, and others. No matter what you require for your business or home office, you will be sure to find something that suits your personal preferences. To learn more about our large selection of computer desk options and other superior quality furniture pieces, contact NorthPoint Office Furniture today or stop by our showroom. We proudly serve homeowners and businesses owners in Roswell, GA, and all surrounding communities.